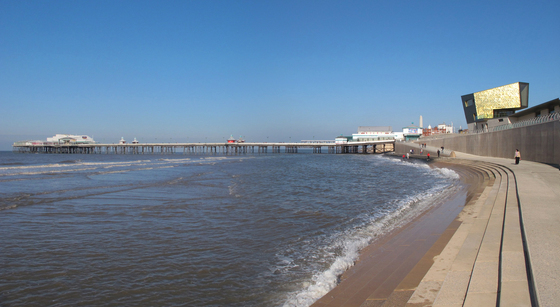 De Rijke’s Tower Festival Headland was the first new building to be constructed on the Golden Mile, Blackpool (UK) for many years. It provides a focal point for visitors, and contains a wide variety of facilities: a large restaurant and local information office at promenade level, with registry offices and a ceremony hall for weddings above. 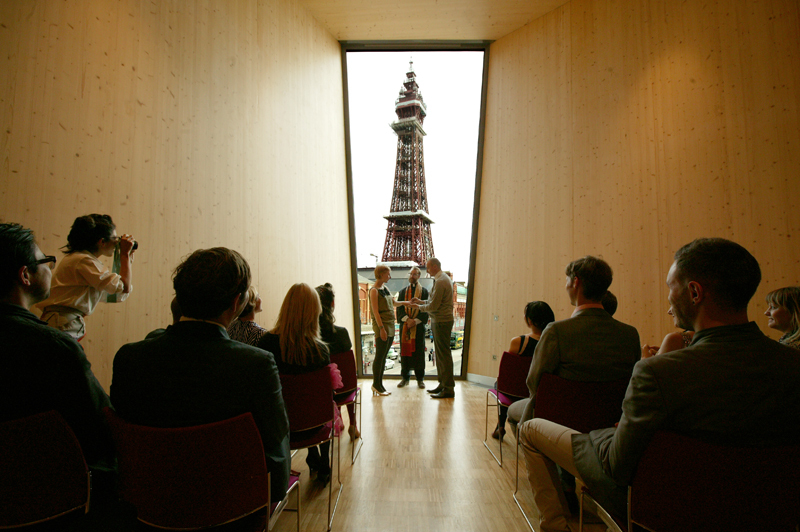 Designed with dRMM, Tower Festival Headland pursues de Rijke’s innovative cross-laminated timber (CLT) research agenda, which promotes the adoption by the British construction industry of high-performance, low-environmental-impact structural timber, locally sourced. A playful example of this kind of experimentation was Endless Stair, installed outside Tate Modern in October 2013, as part of the London Design Festival. 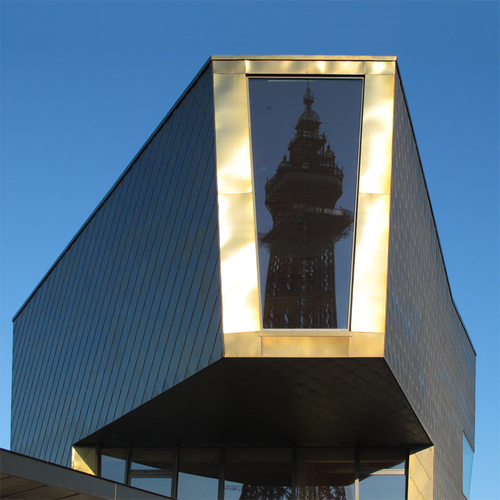 De Rijke argues that a greater use of this building material would help the UK achieve its EU CO2 reduction targets, while providing the strength and safety of conventionally constructed buildings. Tower Festival Headland is one of the first contemporary public buildings in the UK to be built entirely of timber, with a timber core and stairs. Its experimental structure consists of a combined horizontal and a vertical cantilever, and is the third in a series of structural typology studies using CLT, the previous two being the shed and the frame, explored in Phases 1 and 2 of de Rijke’s Kingsdale School design (2004 and 2007). 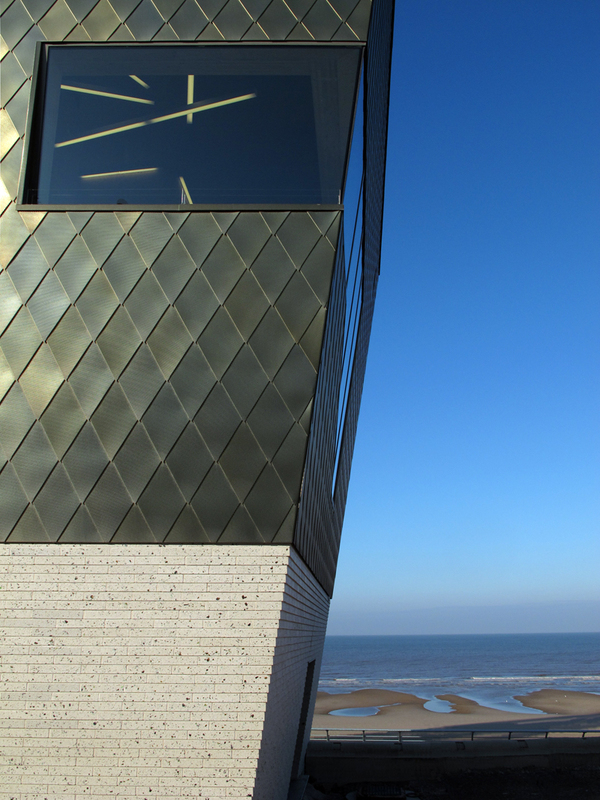 The building was Winner, RIBA Award (2012) and Regional Finalist, Civic Trust Awards (2012). It was reviewed and featured in RIBA Journal (2012); Architecture Today (2012); Building Design (2012); Dezeen (2012); The Observer (2012); and On Office (2012).